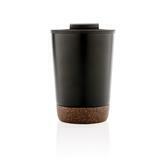 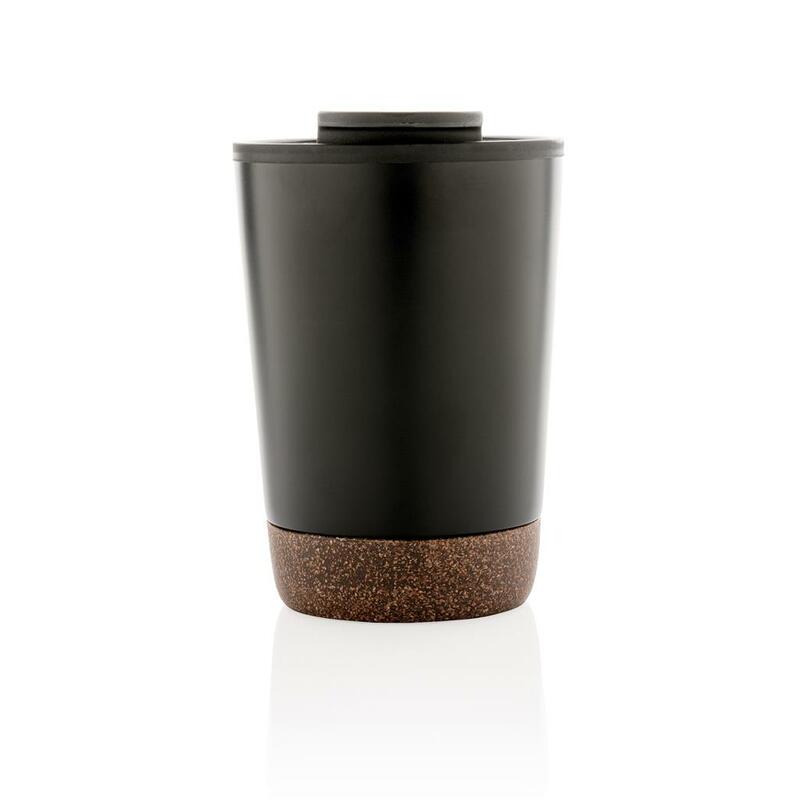 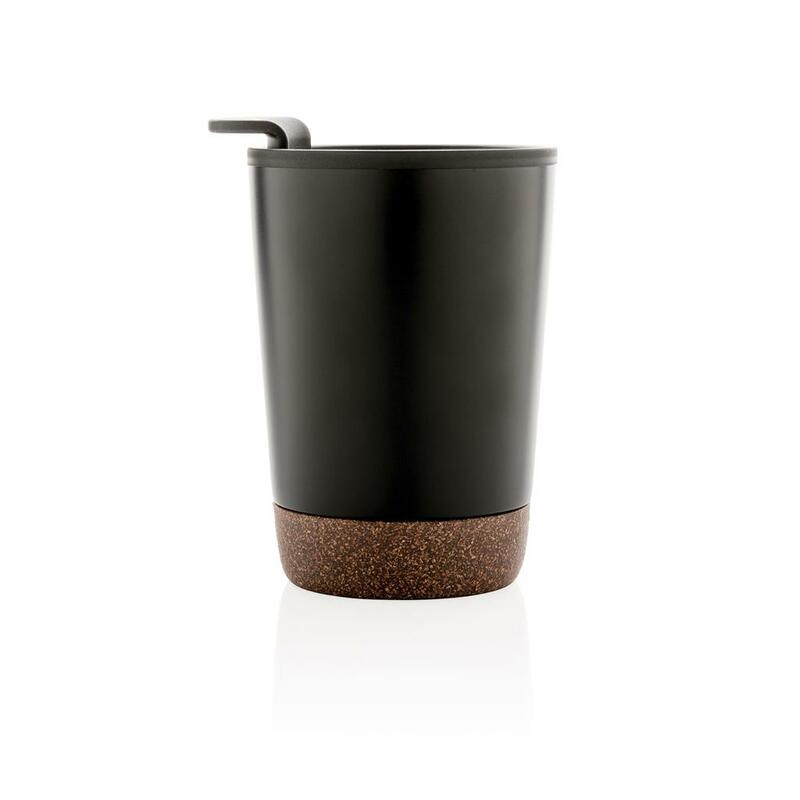 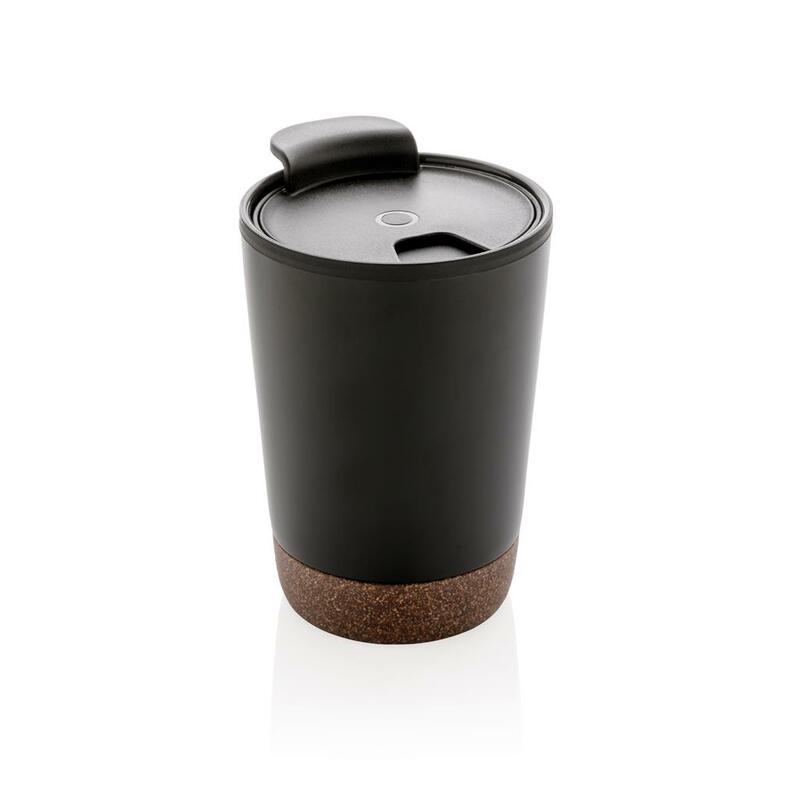 Double wall coffee cup with plastic inside and unique cork detail. 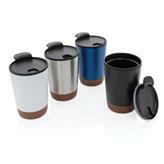 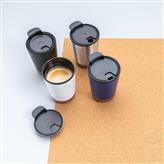 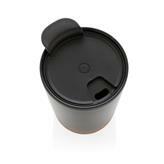 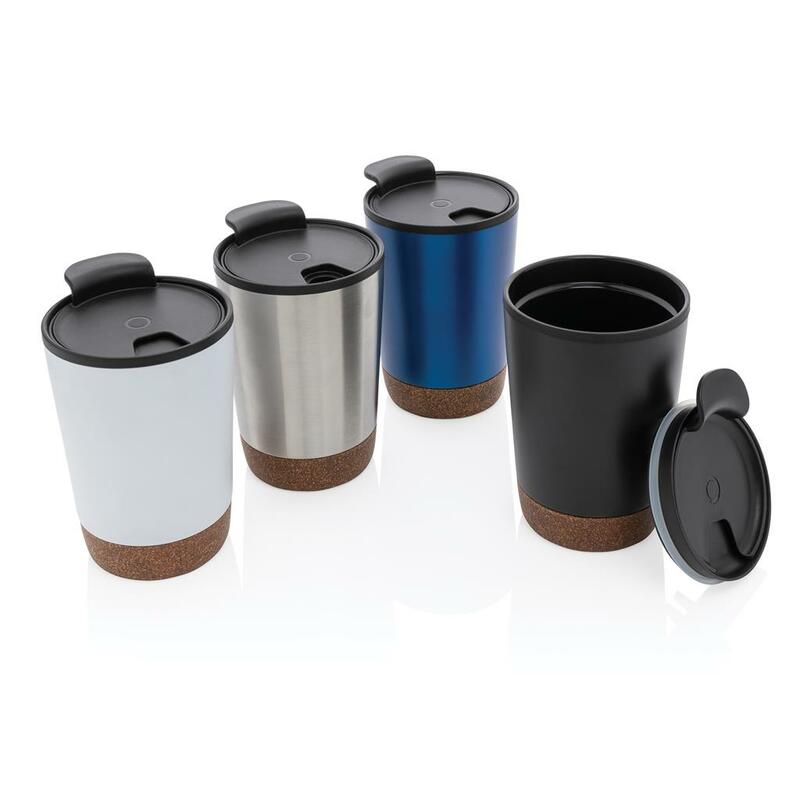 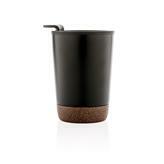 Keeps your drinks hot for up to 3h and cold up to 6h. Content: 300ml.